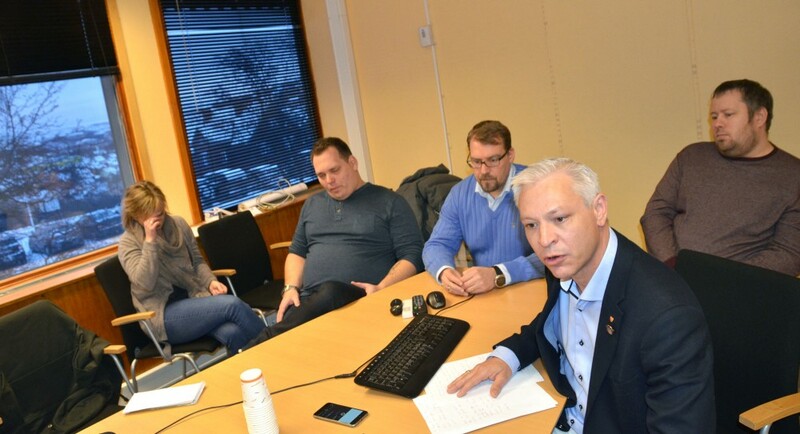 This is a sad day for everyone, for the workers, the company leaders and all the other people involved, says Antony Beckmand, CEO and Managing Director of Northern Iron Ltd. in a press conference in Kirkenes today. After a long period of economic hardships the company saw no other way out but to declare itself bankrupt. 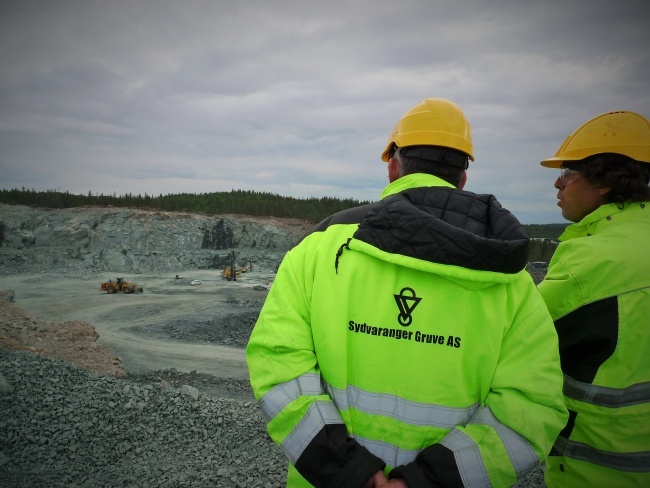 The Australian-based Northern Iron is the 100 percent owner of the Sydvaranger mine in Kirkenes on the Norwegian Arctic coast. Meeting the press in a meeting room with wide-stretched view towards the local fjord, Beckmand admitted that there was no other way out. The company had accumulated too much debts. And the market price on iron ore remains too low. Over the last year, the ore prices have ranged between 45-55 USD per ton, far to low for a miner in high-cost country Norway. The company has debts amounting to about $100 million, most of comes from the bank DNB and the Innovation Norway, a state-owned company and investment bank. In July this year, the Northern Iron managed to terminate a long-term delivery contract with iron ore major Tata, which subsequently opened for fresh investments in the company. However, those efforts failed, the company admits. For the past six years, bulk carriers have regularly shipped out Sydvaranger ore from Kirkenes to the world market. Known for its high quality, the ore has been popular among customers. In 2010, the company made it into the history books as a bulk carrier for the first time brought a load of iron ore from Norway to China transit along the Northern Sea Route. The company has been in contact with several potential investors, but in the end did not succeed to save the industry. As recent as last week, we were in talks with a possible buyer, Beckmand confirmed. Also previously, the company has been in talks with other companies. In 2012, both a Russian-controlled company and an Indian corportation expressed interest, but a deal of a takeover price was not found. ”The company team has worked extremely hard and displayed incredible courage”, the managing director said. People involved in the company do however have major belief in the future for the local mines. The quality of the ore is considered among the highest in the world. ”Without the debts there are possibilities for a new owner to come in”, Beckmand underlined, adding that the mines and the plant now is a ”fairly attactive asset”. Representatives of the company staff is deeply dissappointed with the bankrupcty decision. ”This comes at the worst possible time of year”, leader of the local labor union Henning Braathen says. ”We are getting closer to Christmas and people will not get their salaries”, he highlights. The bancrupcty is a serious blow to mining town Kirkenes. About 330 of the 400 people losing their jobs live in the municipality. Unemployment will boom from close to zero to one of the highest levels in all of Norway. The Sydvaranger was established already in 1906, and then operated as a state-owned company until the mines were closed in 1996. In 2009 they reopened with investments from majority owner Felix Tschudi and his company Tschudi Mining AS.